The new rule is the latest in a series of changes the committee has made in recent years in hopes of making the play safer. 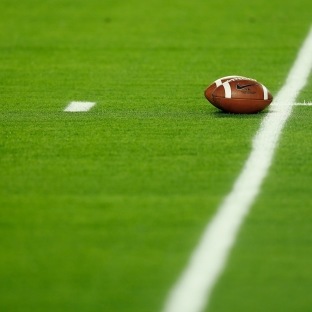 Before the 2012 season, kickoffs were moved from the 30-yard line to the 35. The committee also changed the starting position on touchbacks that year so that the receiving team started its drive on the 25-yard line instead of the 20. The panel approved a package of rules with the goal of making it easier for players, coaches and officials to understand, execute and coach blocking below the waist. The most noticeable change pertains to offensive blocks: The offense will not be allowed to block below the waist when the block occurs more than 5 yards beyond the line of scrimmage. Additionally, other than the interior linemen, all blocks below the waist must be from the front. The panel approved two proposals that further its efforts to keep the game moving. After a touchdown, the play clock will be set at 40 seconds to expedite the extra point or two-point conversion attempt. Additionally, following a kickoff, the play clock will be set to 40 seconds to restart play more quickly. The addition of a 10-second runoff was approved when instant replay overturns the ruling on the field inside of one minute in either half, and the correct ruling would not have stopped the game clock. The panel approved the continuation of an experimental collaborative decision-making model for instant replay that is not limited to the press box in the stadium. For example, officials involved in the replay process could be located in a conference office. Leaping rules on field goals and extra points were adjusted to mirror similar rules regarding leaping the shield on punting plays. It is illegal to leap over the frame of the body of an opponent.